What industries are served by the popular circuit contract manufacturers? Before signing up with a circuit contract manufacturer for regular delivery of small to large circuits, you must be confident about the standard of the PCB layout services with state-of-art designs and engineering the SMT engineers successfully provide the diverse industries they serve. It’s very important to collaborate with a circuit manufacturer with ample experience to work in the same industry as yours. Otherwise, it’ll be time-consuming to gel. If your SME is based on manufacturing industrial machinery, then you should try to get connected with designing the one-of-a-kind PCBs and other circuits by showing great expertise on the SMT engineering skills. Place a bulk order or talk to them about the regular requirements of yours whether for small, medium or large circuits depending on the machines or equipment you build for your clients. Contractors with an excellent reputation will surely agree to meet with the deadlines and work for you for the regular work provisions that you’re going to provide. 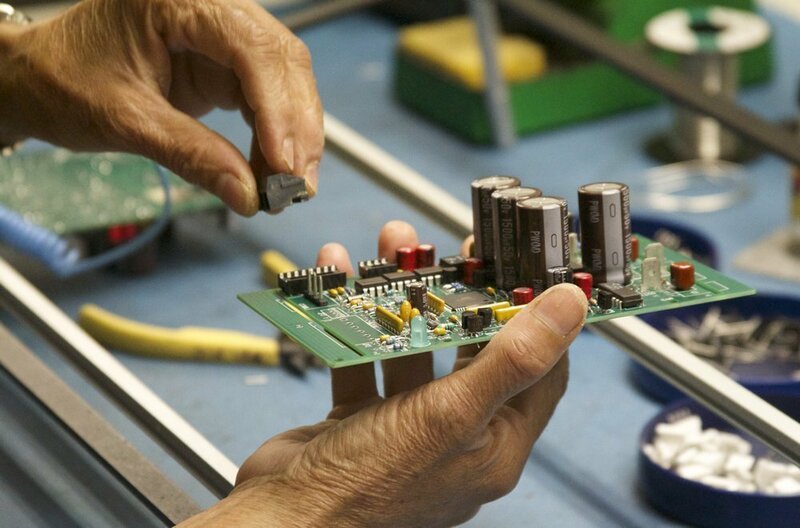 Among the leading OEMs, some of the most diligent contract manufacturers of circuits are highly respected for their extreme dedication and perseverance for designing and building PCBs and prototypes. Considering the project your company is working on, they can assure you small to large complex circuits within the given time frame that are mostly required for the complex telecommunications setups and installations. The medical industry is highly depended on diverse electronic devices that are not only essential for medication or used as surgical instruments but also help to get the information done through monitoring. If you manufacture the x-ray machines or CAT equipment along with other necessary machines- you should need the PCBs aside other necessary circuits. So, make sure you’re about to deal with a circuit contractor manufacturer that has extensive experience in designing and manufacturing circuits for medical industries. The auto and aerospace industries work with lightweight and highly flexible PC Boards mainly to resist the high-vibration possibilities. So, depending on your requirements, wisely select the circuit manufacturer.